When considering ways to make your house feel like a home, there are some fantastic things to use to pamper yourself in that favorite place in your abode. Indeed, whether it is a way to massage your neck, toes, back, or body we have 5 must-have things to pamper yourself. While some people like their trusty lounge chair of felt or leather, the massage chair is an item to consider to get the pampering going. 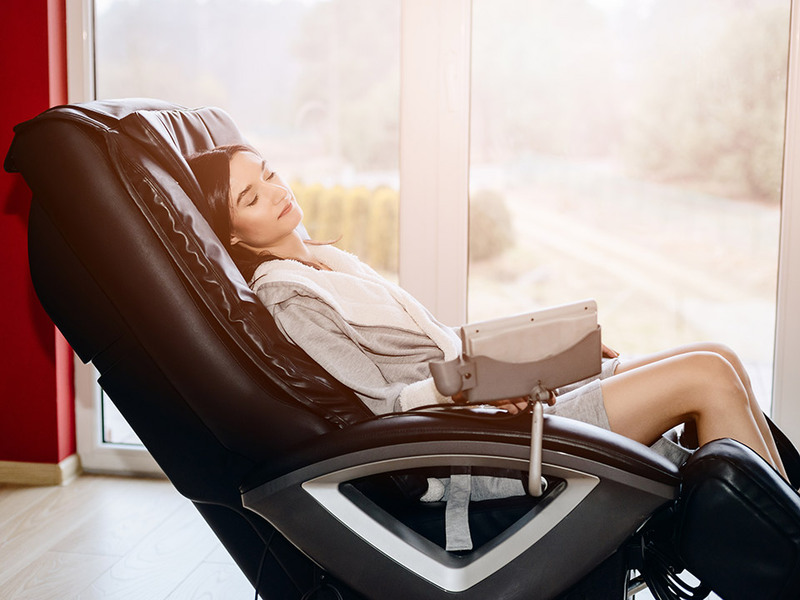 While the price range for a “medical massage chair” can run from 900 dollars to nine thousand dollars or more, you can choose to swivel while getting your “pamper machine” to do its thing. Whether it is a shiatsu massage or just a tap or roll from the upper back down to the gluten, a massage chair can help you while you take a short respite from your toils and stresses of life. Sauna, which is a Finnish term, has its roots back in the 12th century. While the Finns may have kicked the trend off in Scandinavia, you can enjoy many different sizes and price ranges that you can enjoy with little to no cleanup. The portable sauna is just for you, unlike those community log cabin-styled Finnish saunas that could be crowded with people. Infrared light is the hottest trend when it comes to the “sauna for one” these days. Infrared relies on radiant heat thanks to infrared light. The best news is that portable saunas come in many colors and options. These items are made of lightweight materials, which allow these portable saunas to be moved to any room in the house. And many can be placed for pampering in a tiny space. For those who want to pamper their feet after standing on them all day or need a general pampering of your toes and heels, a home foot massager can provide water temperatures of 120-plus degrees Fahrenheit that can help those aching feet on a cold night. The best news is that home foot massagers provide the opportunity to add essential oils of citrus or some other aromatic to soothe the skin. Massage rollers in the bottom of a tub can work out the kinks in your toes and arches. While a foot and back massager may pamper you in key parts of the body, the neck massager can bring targeted soothing to muscles located in the neck and the back. Sitting in your favorite chair with your neck massager can bring some much-needed relief. The wonderful smell and texture of an herbal shampoo can bring those soothing aromas of coconut milk to your beautiful hair and scalp. Making sure that you can feel rest and rebalanced at home by pampering yourself when life gets too stressful is the key in having a long life. Consider one of these five must-have things to really bring the “Aaah factor” to your home.